I just finished some of the first analysis of the Jungle Rhythms beta trials. Below I show a few of the classification results. The red polygons outline the yearly sections, this outlines the area over which I evaluate the data. The red polygons will serve as a reference, given that the sheets of paper from which the data were digitized were sometimes warped, Black lines with blue end points are the life cycle events as marked by citizen scientists. Although this is a visual representation, the combination of the coordinates of the lines relative to the red polygon(s) provide me with enough information to calculate the week(s) in which certain life cycle events occur. 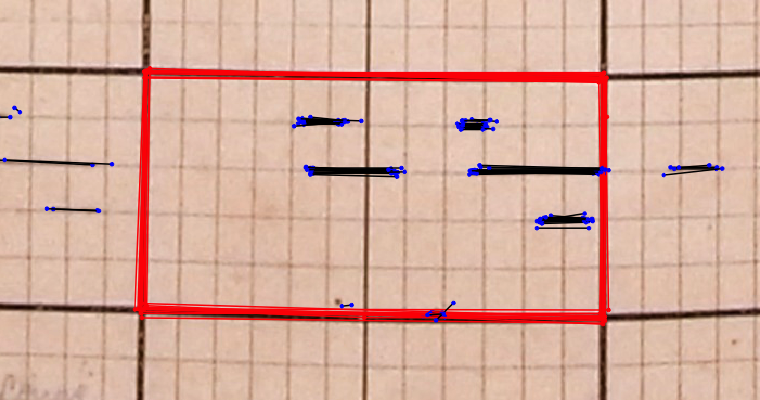 I noticed some errors due the interpretation of the instructions in the workflow, such as flagging of dust specs (see markings near the bottom of the red polygon). However these and other errors are easily screened for. For example, the dust spots were only intermittently marked. Screening for enough replications would allow me to discard faulty measurements. In addition, given these results and feedback I got on both the project’s forum page and as provided through my feedback form suggest that I should explicitly clarify potential confusing cases (such as dust issues). All in all I’m quite excited about these very well constrained results. In the coming weeks I will further adjust the workflow of the project to reflect what I’ve learned form the beta trials. Again, many thanks go out to all the citizen scientists at zooniverse helping me improve the project.